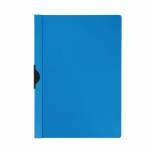 Q-Connect Project Folder A4 Blue (Pack of 25) KF01454 Pack of 1 Connect Project Folders. 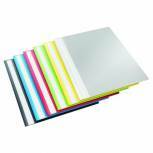 Quality light weight folders with a glass clear front, coloured opaque back, full length title strip and standard 8cm 2-prong bar mechanism, perfect for quotes, reports and proposals. Colour - Clear/Blue. 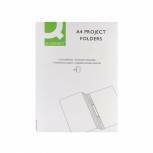 Q-Connect Project Folder A4 Black (Pack of 25) KF01453 Pack of 1 Q-Connect Project Folders. 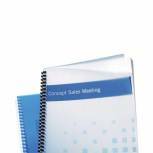 Quality light weight folders with a glass clear front, coloured opaque back, full length title strip and standard 8cm 2-prong bar mechanism, perfect for quotes, reports and proposals. Colour - Clear/Black. 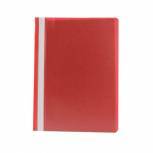 Q-Connect Project Folder A4 Red (Pack of 25) KF01455 Pack of 1 Q-Connect Project Folders. Quality light weight folders with a glass clear front, coloured opaque back, full length title strip and standard 8cm 2-prong bar mechanism, perfect for quotes, reports and proposals. Colour - Clear/Red. 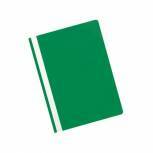 Q-Connect Project Folder A4 Green (Pack of 25) KF01456 Pack of 1 Q-Connect Project Folders. 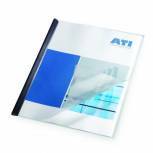 Quality light weight folders with a glass clear front, coloured opaque back, full length title strip and standard 8cm 2-prong bar mechanism, perfect for quotes, reports and proposals. Colour - Clear/Green. Q-Connect Project Folder A4 Yellow (Pack of 25) KF01457 Pack of 1 Q-Connect Project Folders. 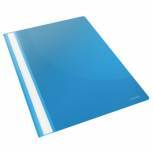 Quality light weight folders with a glass clear front, coloured opaque back, full length title strip and standard 8cm 2-prong bar mechanism, perfect for quotes, reports and proposals. Colour - Clear/Yellow. Q-Connect Quickclip File 3mm A4 Black (Pack of 25) KF00459 Pack of 1 Quality A4 presentation folder ideal for storing and presenting unpunched documents. Simple to use, just pull out the clip, insert your papers and push the clip in. PVC with a transparent cover and coloured back. 3mm capacity - up to 30 sheets. Black. 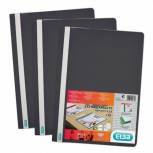 Elba Report File A4 Black (Pack of 50) 400055033 Pack of 1 Economy clear view folder made from polypropylene. Transparent front cover. Full length label holder and channel for A4 suspension rail. Colour - Black. 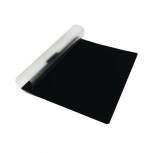 GBC PolyClearView A4 Frosted Clear Binding Covers (Pack of 50) IB387159 Pack of 1 Compatible with GBC ClickBind WireBind CombBind and CoilBind binders. Eco-friendly polypropylene can be recycled more easily than PVC. Polypropylene semi-clear cover with impressive Globe design. 450 micron heavyweight cover. A4. 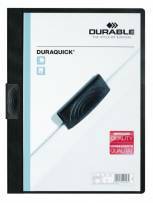 Durable Duraquick Folder A4 Black (Pack of 20) 2270/01 Pack of 1 Ideal for all presentations and filing where there is a need to securely bind papers without punching holes. Hard PVC file with clear front cover and Black clip for easy insertion of all A4 papers. Capacity 1-20 sheets. Colour - Black. 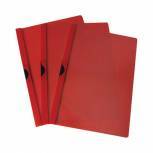 Q-Connect Quickclip File 3mm A4 Red (Pack of 25) KF00461 Pack of 1 Quality A4 presentation folder ideal for storing and presenting unpunched documents. Simple to use, just pull out the clip, insert your papers and push the clip in. PVC with a transparent cover and coloured back. 3mm capacity - up to 30 sheets. Red. 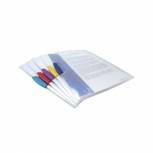 Durable Report Cover A3/A4 Folded Gloss Opaque (Pack of 50) 2939/19 Pack of 1 A3 glass clear sheet folded into A4 open folder. Use with spine bars for effective presentation of reports. Packed 50. 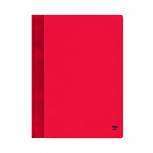 Rexel Nyrex Boardroom Files A4 Red (Pack of 5) 13035RD Pack of 1 A versatile folder for papers and reports. It has a semi-rigid opaque cover and a flat bar mechanism for securing punched papers. Also features an inside pocket and a ticket holder on the front. A4 size. Red. 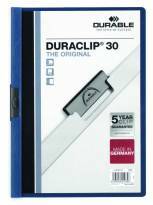 Durable 3mm Duraclip File A4 Dark Blue (Pack of 25) 2200/07 Pack of 1 Presentation folder to hold paperwork securely by simply pulling the clip, inserting the documents and pushing back the clip. Sheets can be withdrawn or added without disturbing the contents. Capacity 1-30 sheets A4 3mm. Dark Blue. Rapesco Pivot Clip Files A4 Assorted (Pack of 5) 0786 Pack of 1 Rapesco Pivotclip File. Stylish durable Superline polypropylene file with a transparent cover and coloured pivoting clip to secure contents. Capacity - 30 sheets. Size - A4. 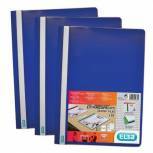 Esselte Report File A4 Assorted (Pack of 25) 15449 Pack of 1 Esselte Report Files. Lightweight polypropylene files with flat two prong mechanism and plastic compressor bar. Clear cover shows first page of document. Full length title strip and thumb cut top and bottom for easy removal. A4. Assorted. Snopake ClampBinder A4 Clear (Pack of 10) 12772 Pack of 10 File unpunched papers with an ingenious clamp mechanism. Up to 100 sheets of 80gsm paper. Polypropylene cover. Reversible spine label. Business card holder. Loose paper holder on inside front cover. Clear. A4. Pack of 10.